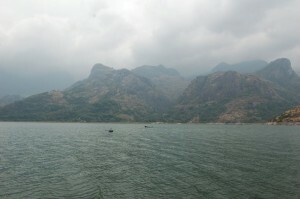 Pollachi is very renowned tourist attraction in the district of Coimbatore in the state of Tamilnadu. The city is famous for several temples and the town has religious background and very much well-known for green and wavy field around the place. There are extended rice fields that are the main attraction for most of the tourists. The climatic condition here is calm and peaceful. If you want to relax in weekend then you may go to Pollachi and enjoy the break to rejuvenate yourself. Pollachi is situated very near to the Western Ghats and it has a lovely climate during the year. Pollachi obtains considerable rainfall in the monsoon season and this is the reason for the preponderance of agriculture in the region. Pollachi has a pleasant climate throughout the year. Pollachi is also very popular for its wide market and the market has many products for sale. when you are in this place, there is a chance for you to make shopping. Pollachi has a jaggery market that is regarded to be the leading jaggery market in Asian continent. It is also well-known for its farm animals and the cattle market which is also another attractive place to visit. Moreover, Pollachi is renowned for the ancient Subramanyar Temple as well.